This morning I wanted to make bread for breakfast, bread should be fresh without preservatives, no softener. Because I have too prepared this bread in a rush hour this morning since my husband must go to office before 6 am, so I do not have time to write down the recipe aka just use my feeling, later I will write this bread recipe with details ingredients. 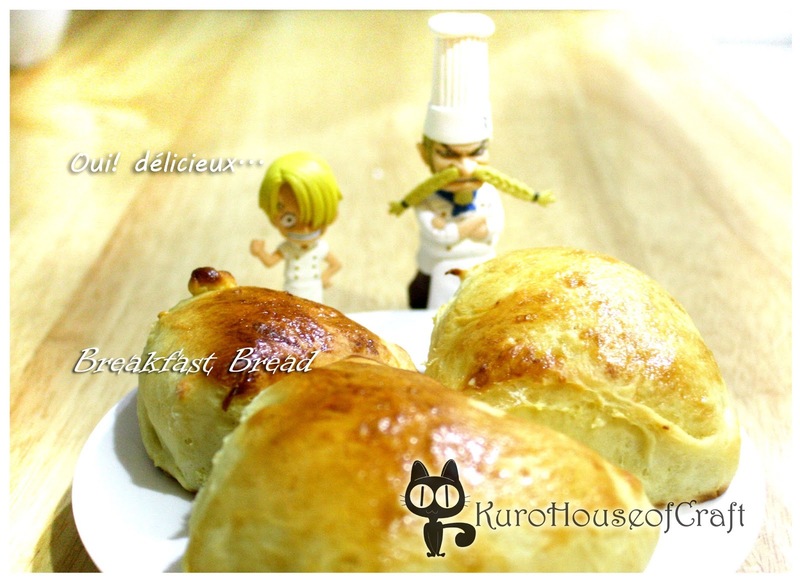 Basic bread dough consists of high protein flour, milk powder, egg, olive oil, yeast, and sugar but I made ​​it without sugar because yesterday I bought an apricot jam (actually I was going to buy pinaple one but I misstook because the color is same :P). Then I baked the dough in 200 deg C temp within 15 minutes, preheat the oven 5 minutes before. I love the colour of that bread and I love this pictures too, last month I found a miniature of Sanji and his father "the old chef" (character in a series of one piece). 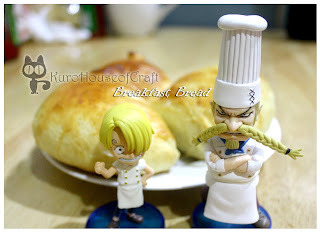 I ever seen this miniatures in cooking show on Urban cook @kompasTV.